Player videos | NUFC Blog. Archive for category: Player videos. A whole hour of little Vurn in hot Dutch video action! 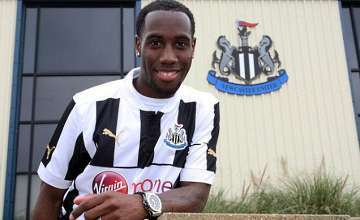 Of course, there was much delight on Tyneside when Newcastle United announced they had finally signed the very talented and versatile midfielder and defender, Vurnon Anita, from Ajax. So, I thought it would be a good idea to take a look at Anita’s game gathered from my experience of watching him in the Eredivisie, though it is hardly extensive. I have also included a cornupcopia of videos of the 23 year old mostly looking at his individual contributions in five Eredivisie games, as well as a few more just for fun. Before I get to the videos though, here’s an outline of Anita’s game. “Thankyou for the great season” – The latest Demba Ba interview video. Papiss Cisse – All goals. Of course, there are lots of NUFC videos on YouTube and the like, but if you seen any by the dynamic duo of Ross and Affy, collectively known as “Gallowgatetoon,” I think you’ll agree that theirs are amongst the very best. Romain Amalfitano in hot video action! As I reported back in March and April, Reims midfielder, Romain Amalfitano, had signed a pre contract agreement to join Newcastle United on a free transfer when his Reims contract expired. Well, as you may know already, he’s been in Toon in the last couple of days to make things official, wave a shirt around in front of a camera and such. However, he still not quite a Magpie yet, as his Reims contract doesn’t expire until the 30th June, from which point he will become a Newcastle United player. Going on previous information, it seems that the player has signed a three year contract to play with the Toon. Cisse's big banana beat Benny's Bolton dribble. Well, it’s been a week for Newcastle United picking up awards with manager, Alan Pardew, recently being awarded the Barclay’s (bloody awful bank by the way – I know!) “Manager of the Season” award.